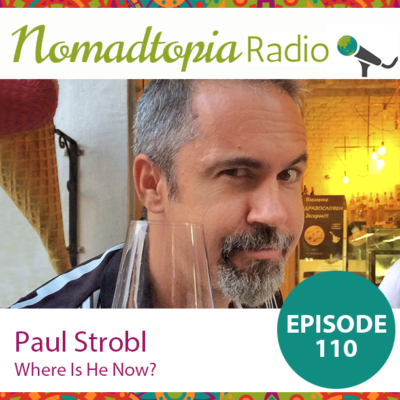 Paul Strobl: Where Is He Now? The way we each live our Nomadtopia often changes over time, so I’ve asked Paul back on the show—three years after he first joined me in September 2014—to share where he is now. 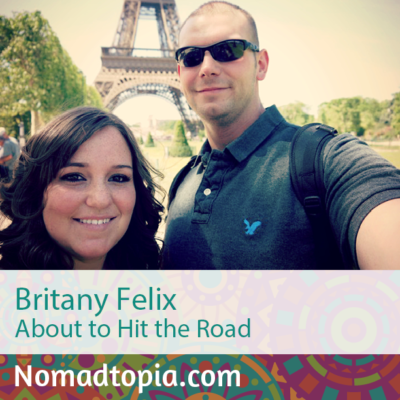 We talked about how things have gone and what’s changed in his Nomadtopia—and why—in the last few years. Britany and her husband recently sold almost everything they own (including their home) and quit the highest-paying jobs either one of them has ever had. When we talked, they were just about to embark on an open-ended journey around the Western half of the United States in their travel trailer with their two dogs. 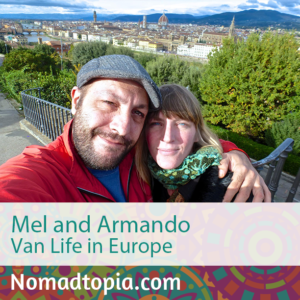 American writer Mel and Italian filmmaker Armando met while she was living in the Czech Republic and he in Bulgaria. A couple years later, a few spontaneous decisions found them living and traveling together in a VW T4 Westfalia, and they’ve now been on the road since 2012. 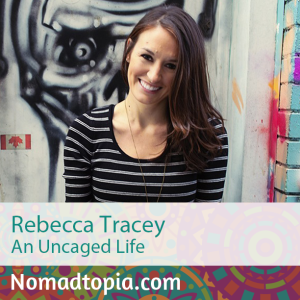 After starting her most recent business while living in a van, Rebecca has created a flexible lifestyle that allows her to balance rock-climbing trips, running retreats, and other adventures with time at home. 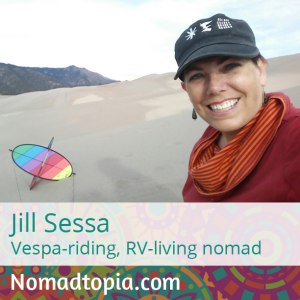 In 2013, Jill Sessa took off on what has turned into a 20,000-mile-plus road trip, first by bicycle, then cross country on a Vespa, and then moving into a tiny RV. A serial entrepreneur with a number of prior businesses, Jill now manages her website maintenance service, UltimateWPHelp, while enjoying an ever-changing view from the “office” window. 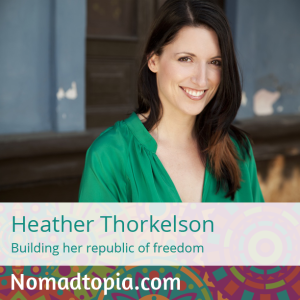 Business strategist Heather Thorkelson has built a location-independent business that gives her the freedom to stay in one place or to move on, and to switch things up based on what she needs at the time, whether it’s adventure or connection or time to unplug. Tune in to hear more about her inspiring approach to life, work, and building a business. 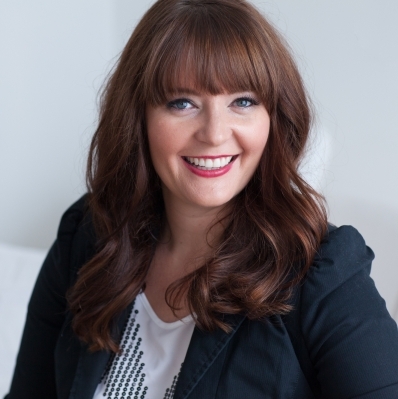 Anna Long Stokes is an Intuitive Business Strategist who helps small businesses Build, Electrify and Rule their Empires.